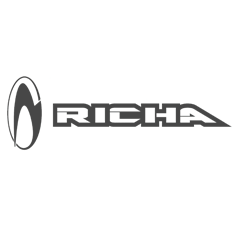 The Richa Scrambler jacket is a short waxed cotton riding jacket. The style is taken from the original Belstaff Mojave, worn by Steve McQueen. The cotton outer shell is from British Millerain, considered the best quality available and gives the jacket a finish that suggests a far higher price. CE rated armour is included in the shoulders and elbows and can be removed for use off the bike. A waterproof and breathable drop liner will keep you dry but allows air to circulate in summer months. A removable thermal lining is included. There are adjustment tabs on the cuffs and waist. The sizes selectable on the product page are the UK sizes.